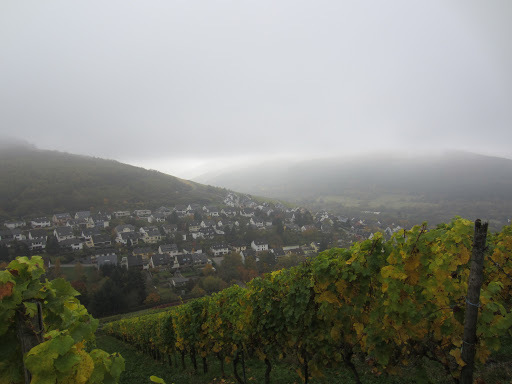 Here I am in the Mosel region, based in the Ruwer Valley just outside of Waldrach. I’ve now been working at Kesselstatt for about ten days and it has been great so far. Almost all of the fruit has now been picked from their numerous vineyards, and every day I get to check the progress of the tanks fermenting. 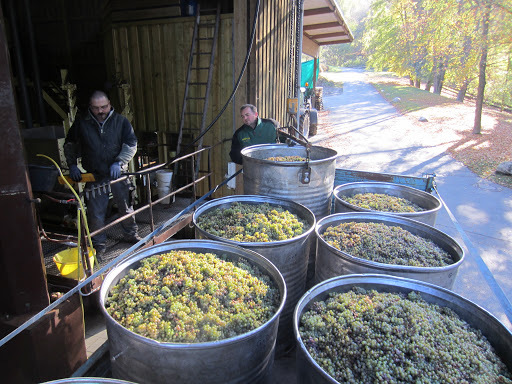 The winemaker Wolfgang Mertes (who has also generously provided me with a great room whilst I am here) prefers spontaneous fermentations, some of which take a week to start. Before they start fermenting the rieslings can have a character of sweet tea to them, which is quite unique and delicious. 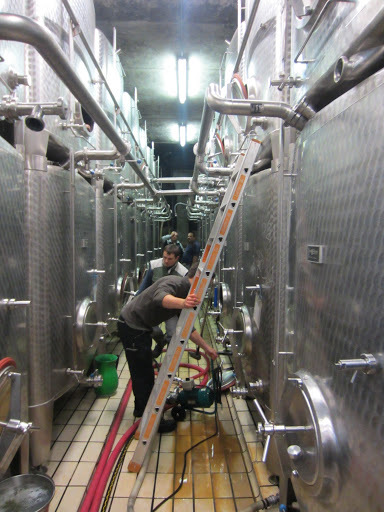 Some of the weisburgunder tanks are fermenting really slowly but show great character because of it. It has been getting colder, sometimes raining and even a bit of snow. I picked grapes my first day and also had the chance to visit some of the other vineyards. 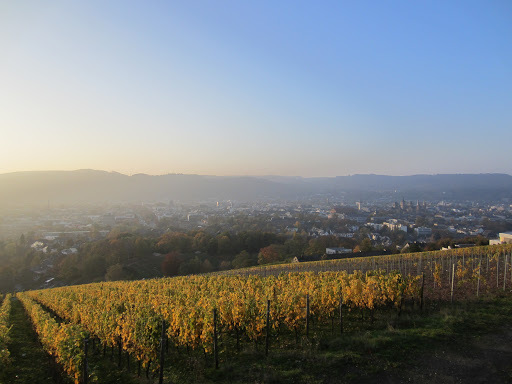 Vineyards overlooking Trier, the town where the Ruwer and Saar valleys join the Mosel valley. 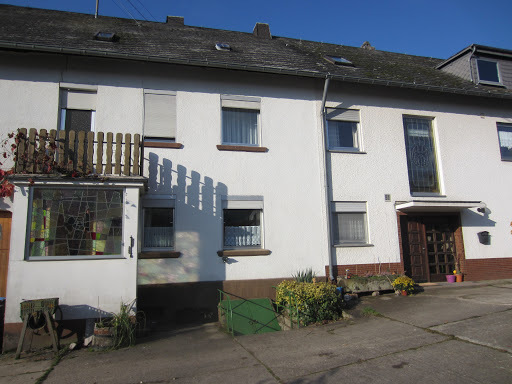 Where I am staying in the Mosel. The vineyards above Kasel the first day of work, beautiful day and actually got a bit warm in the afternoon. 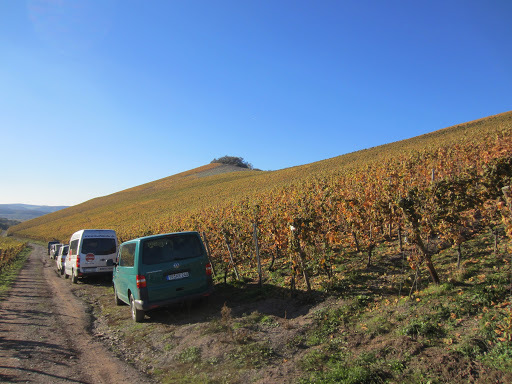 The Saar vineyard of Scharzofberg. Bins of fruit freshly delivered to the winery. The bins are lifted off the ground or off the back of trucks. 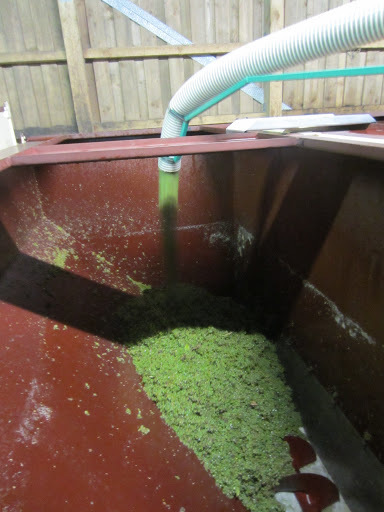 They are then emptied into the destemmer and the berries are pumped up to the hoppers. Berries are free run juice go into the hoppers. 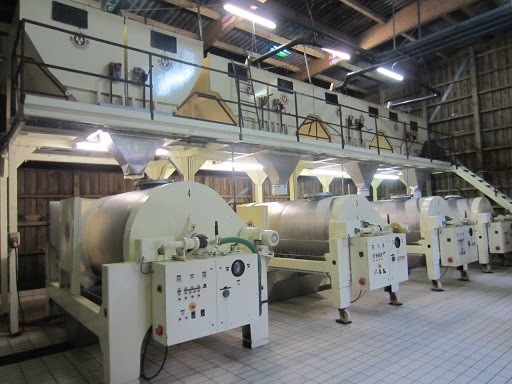 The hoppers are then emptied into one of the presses below. 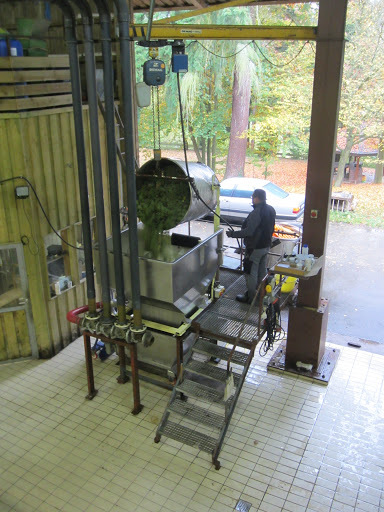 The pressed juice gets transferred to tanks for settling overnight and racking off sediment the following morning. Flotation filtering is used to separate additional solids in the juice before it goes into fermentation tanks. 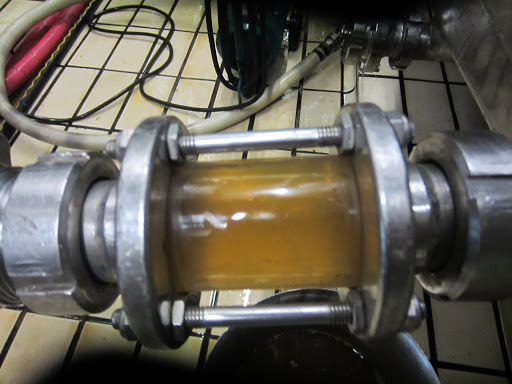 Here we can check to see when the clear juice becomes sediment. 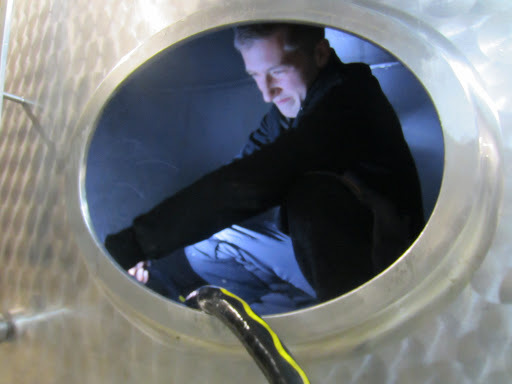 Tanks must be cleaned thoroughly. This is Simon.